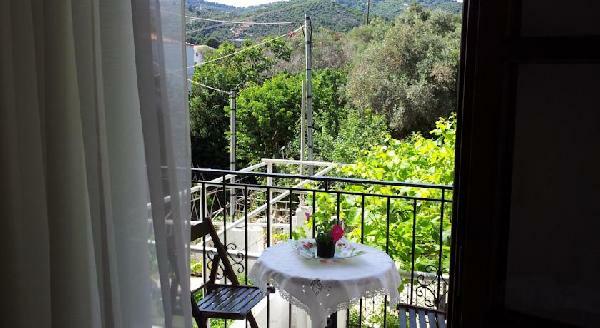 Alexandra’s Apartments is set in a quiet part of Skiathos Town just a 5-minute walk from the centre and port. It offers air-conditioned accommodation with a private balcony and free Wi-Fi. Rooms, studios and apartments at Alexandra come with wooden furnishings and en-suite bathroom with shower. They are all equipped with a TV, while some also have a kitchenette for guests to prepare their own meals. Skiathos Airport is 2 km away. The popular beach of Koukounaries is at 11 km. The property’s staff can make arrangements for car rentals and there is free private parking nearby. Είστε ιδιοκτήτης ή διευθυντής στο ALEXANDRAS HOUSE; Εγγραφείτε τώρα για δωρεάν εργαλεία, που μπορείτε να χρησιμοποιήσετε για να βελτιώσετε την καταχώρησή σας και να συνδέσετε την ιστοσελίδα σας και το σύστημα κρατήσεών σας.